The ‘Walt Disney’ signature used by the company was actually designed by an animator and is not his real signature. 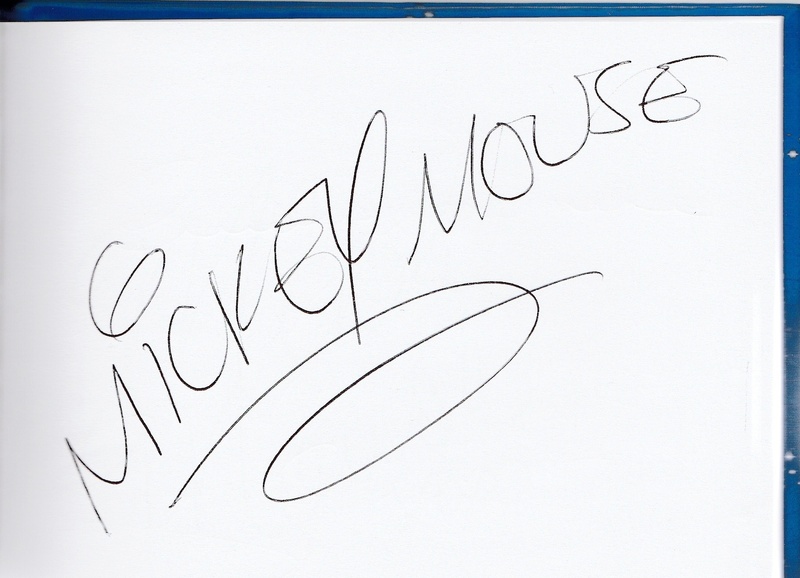 They say that Disney didn’t like the way his real signature looked. 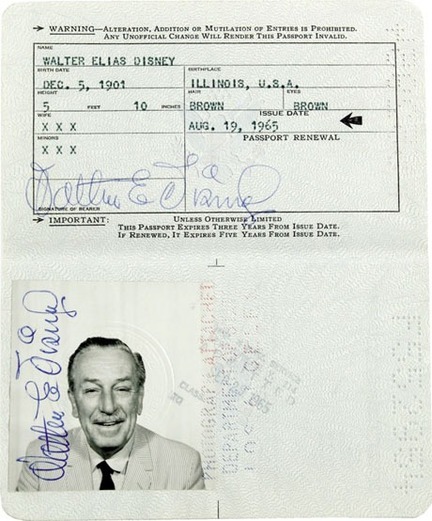 In fact, rumor had it that Walt couldn’t even reproduce the famed Disney signature! All characters must learn to sign their name the correct way. Yes, that’s right. 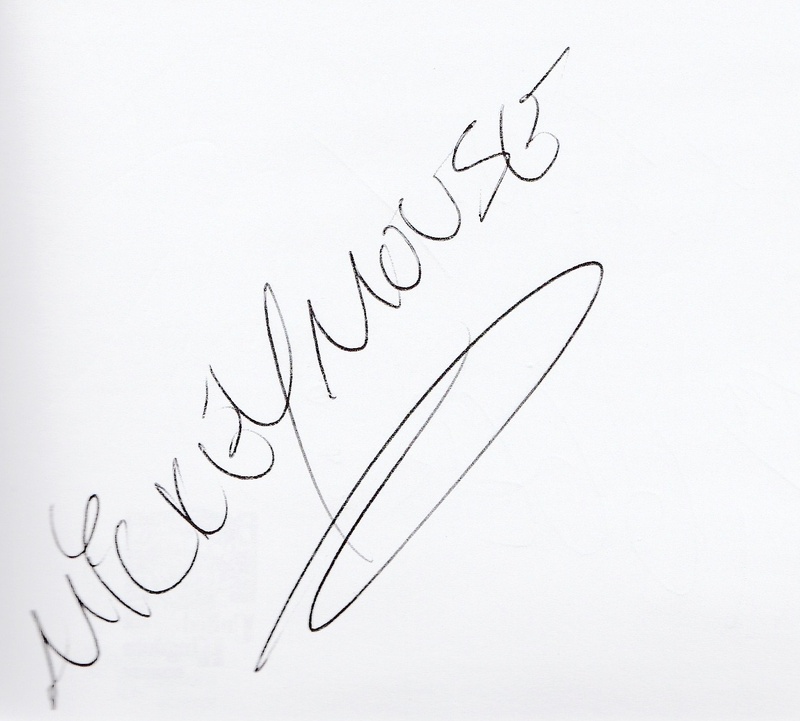 All Mickey Mouse characters at every Disney Park must sign their name using the same the Disney signature font. Same swirl over the i, same swirl underneath the name. Read more about Disney’s real signature at: More About Walt Disney. 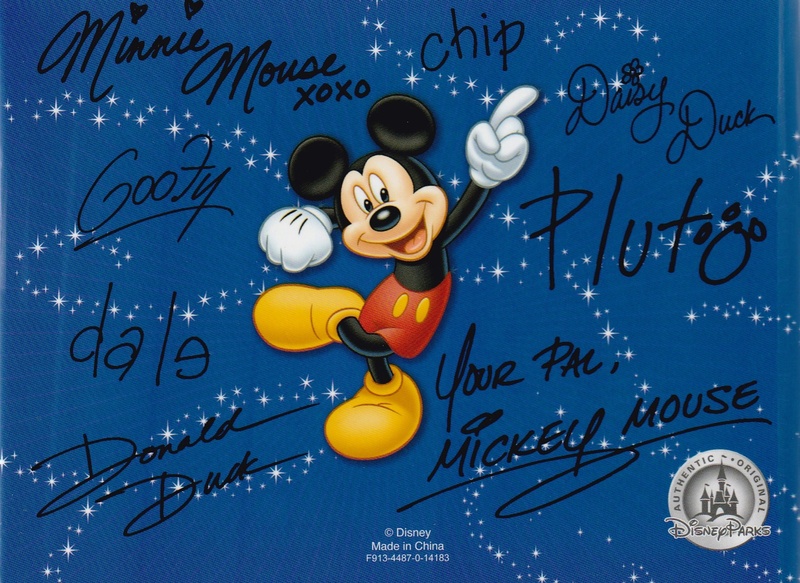 All the Disney characters signatures. This entry was posted in Disney College Program and tagged Caroline Collins disney blog, Cast member, Character autographs, DCP, DCP alumni, Disney College Program blog, Elly Collins Disney blog, two disney sisters, two girls and a mouse tale, Walt Disney, Walt Disney Signature.